10:02 I tried to anticipate the 20 EXMA crossing the 110, but it did not work. That happens. Move on. 5/9/2008 10:22:24 AM Mountain TG:: Xtide 2 Plus says low at mid-day today. 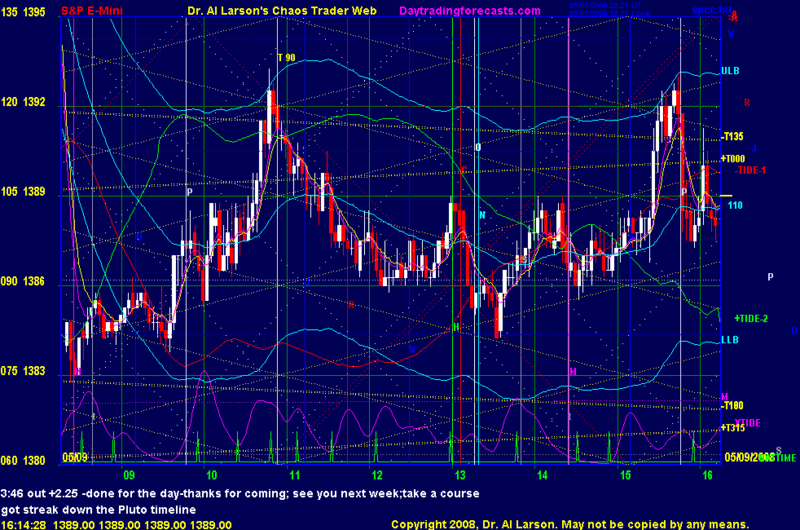 I have a 6 day down fractal that looks to be ending right near 12:30 with a good fit at about the 1386-87 level. Will wait for some upside juice first though.